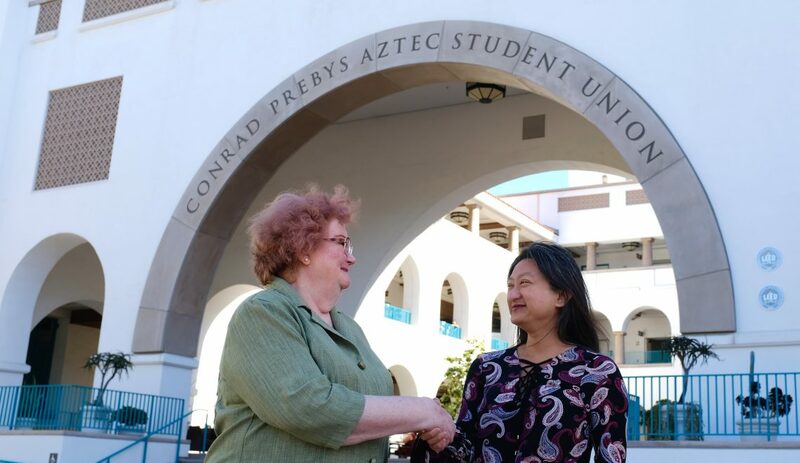 Beth Agnew and Dr. Bey-Ling Sha outside the beautiful SDSU campus. The School of Media has a new pathway partner. 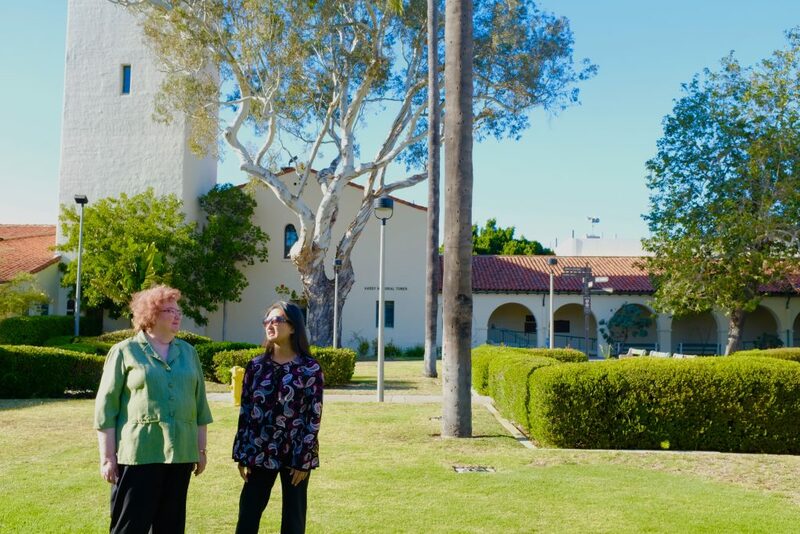 Chair Beth Agnew and Professor David Turnbull arranged a master’s degree pathway for Public Relations-Corporate Communications (PRCC) grads with San Diego State University (SDSU). Their School of Journalism and Media Studies will hold two places a year for PRCC grads who graduated within the last 24 months, and offer them advanced standing for their Seneca studies. The SDSU program is directed by Dr. Bey-Ling Sha, co-author of the world’s most popular public relations textbook, Effective Public Relations. Their MA in Communication is considered one of the best in the world. 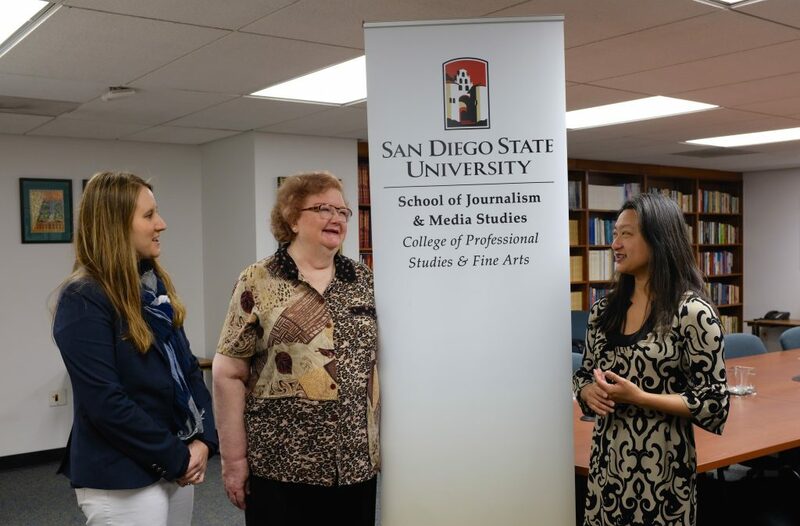 Dr. Amy Schmitz Weiss and Dr. Bey-Ling Sha from San Diego State University with Beth Agnew, chair of our School of Media. 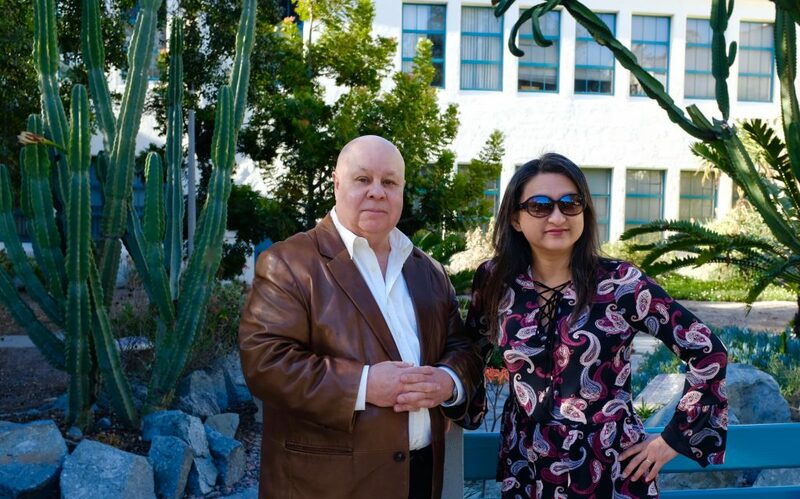 Professor David Turnbull and Dr. Sha. Dr. Sha and Beth Agnew touring the campus.